Muk Luks are my FAVORITE boots to wear in the Winter. 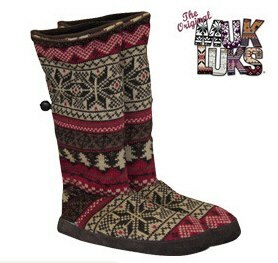 Right now, you can pick up a pair of Muk Luks for as low as $7.99, which is a SUPER STEAL!This deal is WILD!!!!!!! I can't imagine that the deal will stay LIVE for long at this SUPER LOW price. In addition, the SALE has styles and sizes for the whole family, including the kids!